If you want a real challenge in The Witcher 3: Wild Hunt, you might want to keep your fingers crossed for some genuine details on this potential new mode. CD Projekt RED apparently tipped towards revealing that it's toying with an Insanity Mode for Witcher 3. The word came during a lengthy livestream on Monday. A few questions from viewers lead to the discussion of this not-yet-finalized Insanity Mode. The way it supposedly works is, well, insane. If you fire up The Witcher 3: Wild Hunt in Insanity Mode, dying means the deletion of your save file. Goodbye, Geralt! No more monster detective stories for you… until I restart my game, at least. Talk about permadeath, folks. In an open world game teeming with man and beast both aiming to murder and, possibly, eat Geralt of Rivia, flipping on a difficulty that could potentially spoil 50 or so hours of progress does sound absolutely insane. I'll stick with normal mode, thank you very much. I can't imagine being able to stop the waterfall of tears that would come out if I died at hour 80 of a completionist campaign. I don't even know what I'd do with myself. Insanity Mode isn't a real thing just yet; but, this could be up some of your masochistic alleys. Let's wait for official details from CD Projekt RED before we all get too excited… or terrified. 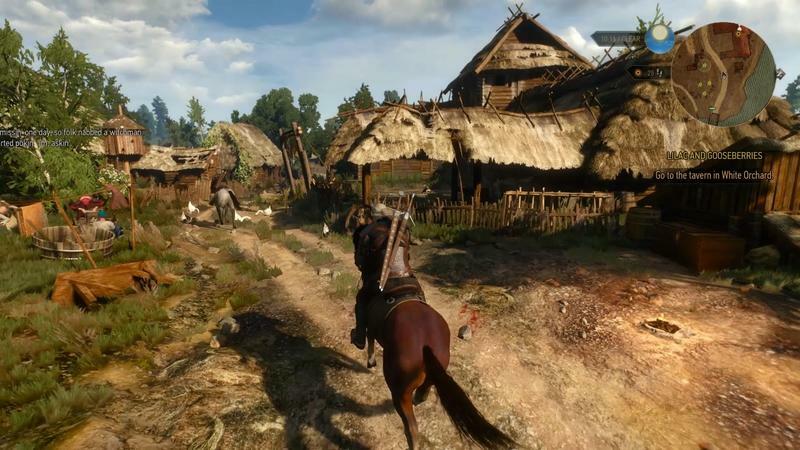 The Witcher 3: Wild Hunt launches for the PC, PlayStation 4 and Xbox One on May 19, 2015.